Why See Virginia Opera - Madama Butterfly? Puccini's exquisitely heartbreaking tale of a bittersweet love affair is brought to life in this lush production from Virginia Opera that tells the story of Japanese woman Cio-Cio-San and her American GI lover, Pinkerton. When Pinkerton is drafted home, he promises to return, but his word is not as strong as the emotion felt by Cio-Cio, a passion that keeps her waiting as the years elapse with no sign of her beloved. Powerful and vibrant, Puccini's shattering masterpiece wraps the bittersweet plot in verdant Japanese culture and beauty, sweeping you into the very heart of Cio-Cio's world. With the Richmond Symphony Orchestra, Madama Butterfly stars Danielle Rastri and Jonathan Tetelman. What is the story of Madama Butterfly? Poor, poor Cio Cio, known as Butterfly, the young Japanese girl who marries the US Naval Officer Pinkerton in the mistaken belief that she has found lasting happiness. But her devotion is misguided, and Pinkerton only sees her and their marriage as a stepping stone for his return to America to find his 'true bride'. 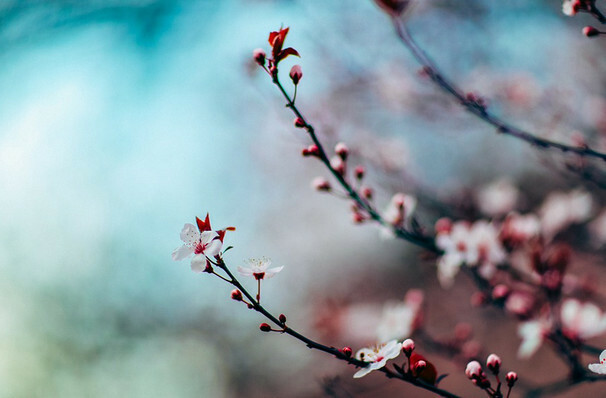 Seen Virginia Opera - Madama Butterfly? Loved it? Hated it? Sound good to you? 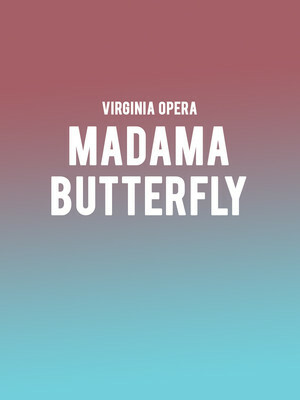 Share this page on social media and let your friends know about Virginia Opera - Madama Butterfly at Carpenter Theater. Please note: The term Carpenter Theater and/or Virginia Opera - Madama Butterfly as well as all associated graphics, logos, and/or other trademarks, tradenames or copyrights are the property of the Carpenter Theater and/or Virginia Opera - Madama Butterfly and are used herein for factual descriptive purposes only. We are in no way associated with or authorized by the Carpenter Theater and/or Virginia Opera - Madama Butterfly and neither that entity nor any of its affiliates have licensed or endorsed us to sell tickets, goods and or services in conjunction with their events.